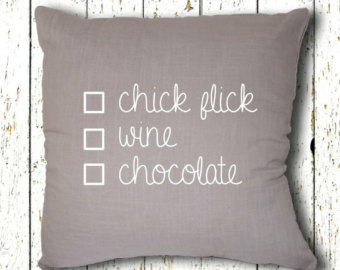 Why Wine and Chick Flicks Cure Everything. Yesterday was an abysmal day. My poor little sweet pea was unfortunately dragged to two different dentists, the second only being an actual pediatric dentist office (note to dentist receptionists: when asked if you’re a pediatric dentist and you say yes we see kids I am assume you’re answering my question, not saying ‘yes we see kids but we’re not an actual pediatric dentist office’). The outcome wasn’t good but it wasn’t bad either. Her freak accident did result in a bent tooth, which might grow in properly and might not…it also might need to be eventually pulled and might not or it might just fall out…or might not! I’d probably be better off just pulling pedals off a flower (tooth will fall out, tooth will not) to determine the outcome at this point! The rest of the day went as sloppy as the beginning. My daughter was miserable and there wasn’t a thing I could do to fix it which broke my heart. She fought naps, taking medicine, letting me leave her side, getting dressed, being in her car seat and wanting to be comforted while I fought for my sanity. It was one of those days where it all went wrong and by the time she was in bed for the evening I was ready to cry and scream at the same time (I had done both throughout the day but not simultaneously). I poured myself a glass of wine and found that ’27 Dresses’ was on. I love that movie. In fact, I love all chick flicks, even the bad ones. There’s something about sappy, unrealistic love stories that just make me smile and sometimes I even find myself getting a little teary eyed at the end. I mean, who doesn’t love watching the cutest proposal by my crush Ben Affleck in ‘He’s Just Not That Into You’ or at the end of the movie when Jake Ryan sitting outside waiting for Molly Ringwald in ‘Sixteen Candles’ and then they celebrate her birthday or the ultimate chick flick movie, ‘The Notebook’. And let’s not forget the hilarious comedy chick flicks like ‘Bridesmaids’ that aren’t filled with all the lovey-dovey stuff and can instantly put you in a good mood! And this is why I believe wine and chick flicks cure everything. 1. Relationship drama. Whether your single, dating or married, relationship drama happens at all stages. Maybe ‘The Notebook’ isn’t the best choice here, but for me, it is. As ridiculous as it sounds, watching that movie makes me love my husband more, even when I’m incredibly angry with him. Whatever your situation may be, curling up with wine, ice cream and/or popcorn and a good chick flick (along with a possible good cry) can soothe any hurt, broken or angry heart. My top choice here: The Notebook (or if you want to go in the other direction: The Break Up). 2. You Had the Day from Hell. Whether it was your boss at work, the kids at home or one of those ‘you got out of bed this morning and even that went wrong’ days, there’s nothing more mind escaping than a chick flick…and definitely a few glasses of wine! My top choice here: Wedding Crashers. 3. You’re Having a Girls Night. 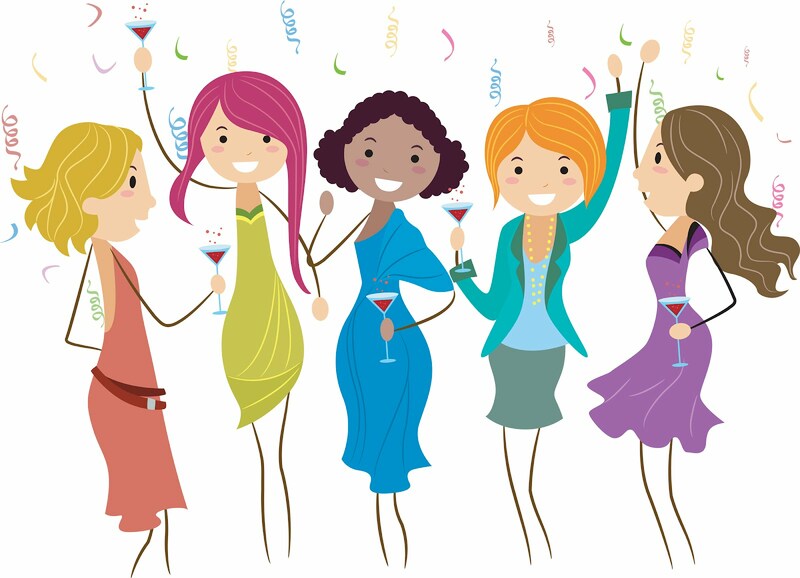 Sure, a night out at the bar is a great way to get together, but sometimes a night in with chick flicks, good friends, lots of laughs and lots of wine can help you unwind from the stresses of everyday life. There are moments when you just need your girlfriends and nights like these are great for them. My top choice here: Pretty Woman. 4. You Really Need to Laugh. Life can get really serious and sometimes we forget how to let go and have fun. We can’t laugh situations off because we’re too stressed out. This is the time to grab that movie and enjoy a good laugh. My top choice here: Bridesmaids. 5. Just Because. Sometimes you don’t need a reason to drink and watch a chick flick, you just want to! Whether it’s to relax, decompress, chill out, all of the above or just because, enjoy what’s currently on TV or a personal favorite and your favorite glass of wine! My top choices here: How To Lose A Guy In 10 Days, Knocked Up, My Best Friend’s Wedding. I know a day like yesterday is only one of many to come, I just wish it didn’t have to. I wish I could prevent my daughter from any pain or injury. But since I cannot, I need to have faith that all will work itself out. And every once in a while I also need to have some wine and a good chick flick!